I am just loving agua frescas this year (where have they been all my life? I've totally been missing out!). This agua fresca tastes like eating a slice of honeydew. So refreshing and delicious and perfectly excellent on a hot day! This recipe is adapted from one I found at Flora's Drink Hideout. I changed the quantities just a little bit. 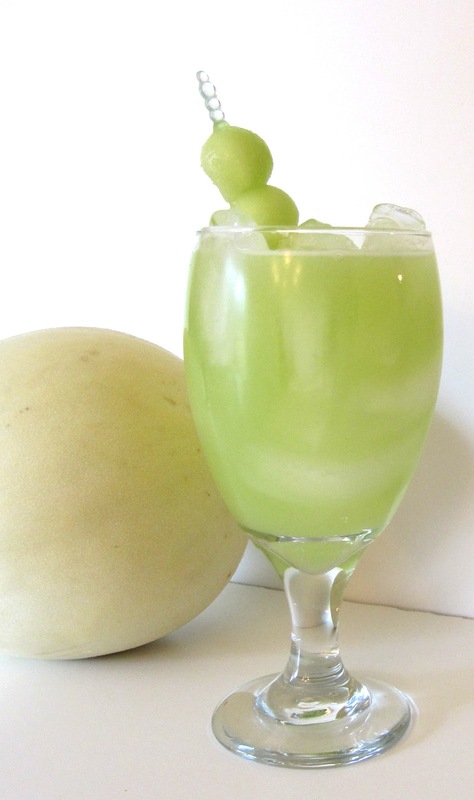 If you like honeydew, you've got to try this! If you prefer cantaloup or crenshaw, the melons are interchangeable here. You can also switch out the lime for lemon. Make it how you like it! 1. For the Syrup: place the sugar and water in a small bowl. Microwave for 30 seconds. Stir until the sugar dissolves. 2. Stir the melon juice, lime juice, and syrup together in a pitcher. Stir in the water. 3. Serve over ice! Garnish with melon balls or a slice of lime, if you'd like.